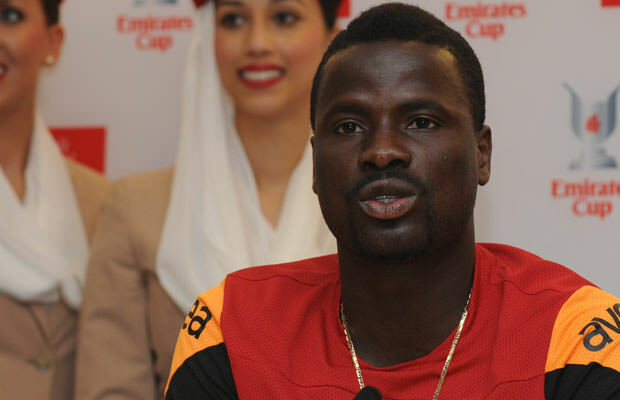 Famed soccer player Emmanuel Eboue, who was released by Galatasaray, recently revealed that he would love to return to his beloved Arsenal. The formal Arsenal defender was released by the famed Turkish club last summer after spending the whole 2014-2015 season playing for the club’s U21 side. According to the sports star, he has been threatened unfairly, and he would like nothing more than to return to Arsenal. The 32-year-old athlete left Arsenal to join the Turkish Super League back in 2011. After returning from training, he was told that he was not going to play for the first team. Namely, the president of the club told the manager not to pick Eboue. The popular soccer player, who started his career in ASEC Mimosas in his native Ivory Coast, is looking for options at the moment and is praying for a return to Arsenal, the club in which he spent six years.